We just returned from a very special event — the one year old birthday party for our nephew H. H is a very, very special boy and he worked hard to get to his first birthday. He was born early and had a lot of challenges in those first few months of life. Thanks to a loving and dedicated Mommy and Daddy and great medical care, not to mention family support, he is doing so well now that the struggles of his first months of life seem like they never even happened. The other thing that made the event so special was the two families marking this occasion together (my sister-in-law’s extended family traveled very far to be here for the big celebration and of course, my husband’s / brother-in-law’s family is local). The party was held on the amazing farm where H lives with his parents, organic farmers. 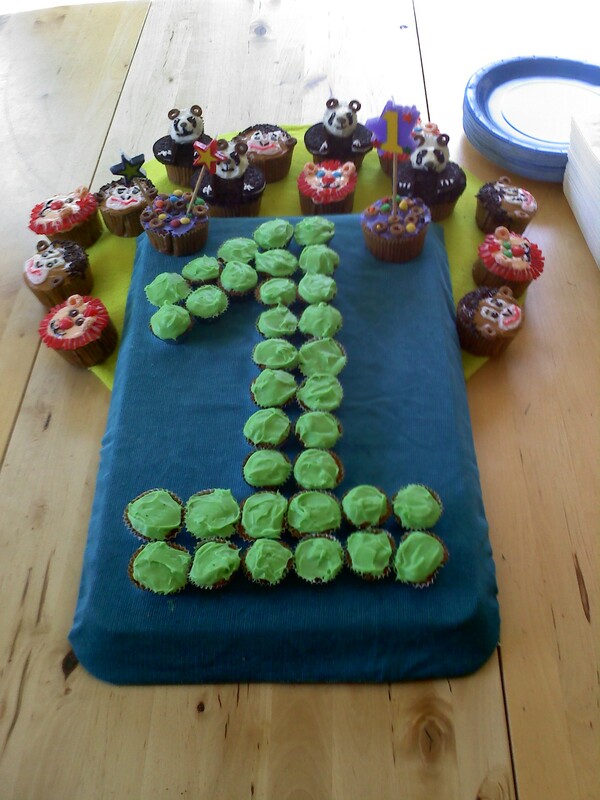 It was a quiet and sweet little party without a lot of fanfare or fuss. Instead, joy, laughter and happiness were the decorations and the party favors: smiles, love, and tractor rides for the kids. The candle on the cake: M did very well and enjoyed most of the day (especially the tractor rides and horsing around with his uncles — sorry couldn’t resist the farm animal pun!). The family gathering felt like a big group hug — for H, for his parents, and for all us that are part of H’s life. 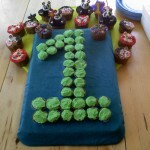 On a personal note, I also felt the strong support and love everyone has for M.
Happy 1St Birthday H! Even if you don’t, I will remember today for a very long time. This entry was posted on Sunday, May 23rd, 2010 at 7:24 pm	and is filed under Blog Posts. You can follow any responses to this entry through the RSS 2.0 feed. You can leave a response, or trackback from your own site.